He was trying to call her since morning just to ask her about the plans for NEWYEAR's eve, but she did not respond to his call till evening, he felt a bit worried, and he thought that yesterday's fight could be the prime reason for she not picking up his call. It was 5:00 in the evening and he has already got tickets for the movie "Billa" at Satyam theaters for the 6:30 show, he decided to call her once again and dialed his number this time he was lucky enough to get a response from the other end "The number you are trting to reach has been switched off, please try again later. He does not know what to do, so he decided to go directly to her office, it was 5:45 when he reached her office, he was a known face to most of her colleagues and at the reception he was greeted by Shyamala, Hey Senthil, wat a surprise, enna indha pakkam ? Supriya enga ?, this question from shyamala made him terribly confused, he does not know how to react to this question and at the same time he does not want to give any clue that Supriya is not with him and he has come there to look for her, he then replied, "Indha pakkam oru velai irrundhudhu, adhaan unga elaarayum paarthutu NEW YEAR wish pannitu polaam nu vandhaen", he could not spend more than 2 mins there and immedieatly he whisked out of her office. 1. The year did not start well as expected, but was going on smooth. 2. Professionally no big improvements this year. 3. Personally also things did not change much. 5. Got few new friends with whom i am comfortable with. 6. Health took a major set back with a ligament tear on the right knee, which almost paralysed me. 7. People at home started the hunt for my Miss. Perfect. 12. Enjoyed my bachelor life in my own style - Blogging, reading, writing ofcourse sleeping. 1. The real happy moment was the news of my Besttttt friend getting engaged. 2. Got a new LCD Flat TV. 3. Converted all my cassettes into MP3 songs and compiled some of my favourite hits. FAIR - With very little happy moments to cherish but in general GOD has blessed me with a good peace of mind. Hoping for the next year to be much more wonderful and expecting some change in my personal / professional status. What else we can say other than one more pathetic indian display. The way in which the indian batsmen batted in both the innings proved once again that they are spineless when counter attacking a quality side like Australia. The only consolation was sachin's performance in the first innings but in the second innings he felt out of place and was struggling to get the nick. The wall colapsed once again and it looks like he is following the foot steps of how Ganguly was playing 3 years back, i think i could have played much better than dravid, its high time the wall reconstructs itself. I heard that Yuvraj and Dhoni mistook this to be a 20-20 and was trying to fire from the word go and unfortunately it back-fired for the team. I really dont mind INDIA losing this series to Australia but they should offer some resistance, this victory was literally gifted to Australia which is painful to a die-hard indian cricket fan like me. I hope we show some resistance in the next match. Ah, thot of writing a new series called PITHUKULI, and i hope you all will enjoy this series. Here is my first try and please let me know your sincere comments. We all know that IT industry is a place for all educated people and english is considered to be the global language in this industry. Me hailing from the heart of chennai, i would love to see "Chennai Thamizh" being spoken at all s.w companies, so here is a small conversation between a Programmer and his Project Manager, in pure "Chennai Sen Thamizh". The situation is this ... Its appraisal time and Project manager is doing appraisal for his team member. ahhhh ... vaa kannu ... suresuu ... eppdi keera ? sokaa keerayaa ?? inaathuku unna itukunu vandhurukaango nu unikku message teriyumla ?? unniyae mesurement panna ... pala paaintus keedhu idhula ... atha onnungaati onnu ketukunae varuvaen ... mavanae nee adhuku sokkaaa maarku podanu .. piriyudhaa? iyaaaa ... innaathu nee periiaa vaarthalaam pesikinu ... athaan pesi theethukuvom nu soltoam la ... ippo ennangara nee ... 2 paantu kammiyaa keedhu nu koovara, kaludha 3 paantaa potuka ... aaru venaamnga poraanga ... deelu ogay vaa unukku ?? aahaan baa ... enikkum adhae novu thaan ... en ponjaadiyaanda poi sabala kavura neeta sollo ... echi thupi thaan paa vaangudhu ... dhuttu mattum enaanda ketaadha neeyi, dhooo katsee roomaanda oru sotta naayi irruku paaru ... athaanda poi kanduko .... ithoda ... nee etha kaai pannu ... povusollo ... makesaa roomaanda itaara sollu. This was one of the funny poem which was published in one of the leading tamil magazine when entire south india was hit by this water demon. Till 25th December 2004 no one knew the term called TSUNAMI, but on that fateful black sunday 26th December 2004, all of a sudden this word got famous for all the wrong reasons. It all happened in no time and got over in a flash, in just a matter of 7 to 10 minutes it swallowed thousands and thousands of human bodies across the asia pacific belt, the worst affected contries are Indonesia, Srilanka and India. This incident will always be a pain in everybody's heart who happened to witness this tragedy, my heart goes for all those who have lost their loved ones and pray to GOD for them to give courage and strength to face life and let time be the best medicine to heal such a deep wound. That was a romantic evening, where the skies looked to be in their best attire, its actually impossible for me to say what that color was in the sky, but it looked absolutely gorgeous. I was waiting for her in our usual meeting place, i never knew that waiting is such a pain untill i was infected by this love bug, i was growing impatient as the time rolled on, when i was about to leave, there came my angel in an even more best attire than the sky. She asked me whether i was waiting for a long time, i just pretended as if i came just a few seconds before her, and there came a striking reply back to me saying - "Then why so many peanut cones lying under my feet?" I dont have an answer to that, well, i said looking straight into her eyes "I love you", she said she could not hear that properly as the sound of the waves are too noisy, i again said "I love you" still she could not hear me, then i screamed "I LOVE YOU", this time i made sure that it was loud and clear to her. Bloody that was one more romantic dream for me in the beach.... what next .... rrrunnnnnnnnnnnnnnnnnnn!!!!!!! Well, rainy days are always wet in our minds. If something that always facinates me, it can only be RAIN. I enjoy RAIN when i am outdoors or indoors, both has its own variety of mood that settles inside me. If i am out in rain, i dont prefer hiding myself underneath an umbrella, i love to get drenched, I love to walk all alone as long as i have a path to walk, dont care about how far i am from home, its something more devine to me. I somewhat feel that, as we get old, we try to distance ourselves from nature's wonderful spectacle callled RAIN, why is it so ? RAIN is still the same, its pouring from heaven and kisses the earth all the time, but our views about RAIN has changed. When we were young, this the same mind which cried for going out and get wet in RAIN, dance as much as you can, splash water all over your body, roll on that wet ground, run like mad, design a lovely TITANIC and then make it sail on both sides or our street, for some poor designers like me, i used to simply tear a paper and then watch it float as long as it can in the streams that will be flowing on the sides of the road, when it drowns, you cry as if you have lost millions on that ship, and unfortunately those tears gets unnoticed in that RAIN. 3. Running from pillar to post to collect all my friends in a common place and play LUDO / TRADE (Its still RAINING outside). 4. Having a hot cooked lunch in the noon, Sambar Saadham, Rasam Saadham, Potato-Onion spicy curry, Thair saadham with Maavadu. 5. Nice afternoon nap after that heavy lunch. 6. Checking outside the window every now and then, whether its raining or not. If the rain stops, happiness goes into a den. 7. Asking my mom quite frequently - "Eppo maa, mazhai nikkum, niiku fulla nikaadhu la", and expecting a favourable answer. 10. Expected powercut in the evening will just spice up the day and double my joy. 7. If its a CRICKET match that day and if it stops the match, we curse the RAIN so badly. 11. Above all, you feel even more irritated when your kid is happily sailing boat and you have to go to work. Now you guys tell me, how did your early days went with RAIN, just leave a comment. Hi Folks, thanks a lot for all those who were encouraging me and supporting me in writing blogs. Its high time i decide on adding up somemore spice and richness to my blog, since blogger does not give us the freedom to modify the layout as per our wish, i have decided to go on with a seperate domain so that i can alter it to my wish. From now on all visitors for http://iyerpaiyan.blogspot.com will be redirected my new website http://iyerpaiyan.com so please bookmark this new link for all my latest updates. Thanks once again for all your support and encouragement. 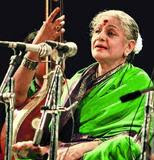 M S Subbulakshmi, shortly accronymned as MS. I am not such a great follower of carnatic music, even though my grand fatehr is a famous musician who has been a GURU for well known singers like T R Mahalingam, Maharajapuram Santhanam, Soolamangalam Sisters etc, etc, but somewhat i was attracted by this great person, i am still figuring out what's that magnetism that attracted me in her. I started collecting her cine songs as well as her bhajans, trust me, her voice was mesmerizing. Just listen to her "Kurai ondrum illa marai moorthy kanna ..." song in a music system, you will be taken to a new world. I should admit the fact that i was attracted towards that genius not for her songs, but for her looks. In tamil we would call "Pazhutha Sumangali", this term will be used for a women who lives with her husband for decades and she is a perfect example for that. Her beautiful kunkum on the forehead, her 2 sided nose studs, that wonderful silk saree she wores, a nice flower garland on her head, when you look at her in such an attire, automatically your hands will unite and you feel like seeing GOD in front of you. She had that tejus on her face which lasted till she died. "Hey vasanth, what a surprise? Not even in the wildest of my dreams i thought i will meet you again, how are you ? ", even i was extremly thrilled to see Vasanthi after a long time and i too reciprocated my happiness, i introduced my sweet heart to vasanthi and she told her that "This idiot didnt even call me for his marriage, but its a pleasure meeting you now". Vasanthi is a personality who gels with every one and she is one girl everybody likes, I suddenly asked her where is Sindhu and its been almost 2 years since i met her, vasanthi told me that sindhu is very busy nowadays and even she had come to the hotel, my eyes sparkled for a moment and my heart skipped a beat over the excitement of me going to meet sindhu. Vasanthi told me that she will bring her to our table in a while and she went off. My sweet heart started to open her mouth - "Who is that girl ? Totally indecent, she is putting hands on you and talking ? I dont like that. BTW who is that sindhu ? and why do you have to enquire about her ? I could see the excitement in your face when you were asking about sindhu, if there is something that you are hiding from me, please confess now, i dont like people bluffing. I was watching her till she finished and surprised to see that she has not given me an opportunity to speak, when i was about to tell her about sindhu, Vasanthi came along with that sweet little angel Sindhu who is 2 years old. 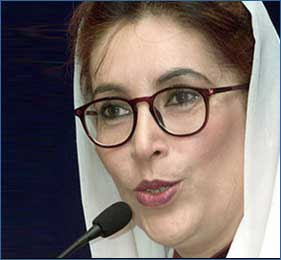 Hey where is your husband yaar ? One of my friend asked my wife, and she replied, "Ah, dont talk about that drunken nut, it just now had a full bottle of wine and got into the refrigerator thinking that to be his bedroom". Appa, enakku innikku oru interview irruku paa adhuku poganum, bus charge ku panam venum, oru 50 rooba irrundhaa tharaelaa ? "Appa neenga mattum enna mattam thataama irrundhurundhaa, naanum serious aa velai thediruka maataen, enakkum indha maadhiri oru nalla velai kedaichurukaadhu, unga kadipukku, romba thanks pa"
Appa, irungo paa thanni kondu varaen nu ramanujam thaathaa room kulla oodi poradhaa aacharyamaa paarthaan kannan!!! Based on the request from one of my best friend, i am deleting two blog's which were hurting a particular community. I still dont regret for what i worte in my blog, but i just can't ignore my friends request, so i am deleting those entries. I apologise if that would have hurt any of your centiments. Hmmm, i was actually planning to put this on my blog for a long time. We have information for anything on the internet, but when it comes to relationships, we dont actually find much of information. In a country like INDIA, marriage is a very very complex affair, that too arranged marriage is something i call as "GAMBLE" not all the time you click the right chord. The interesting part of arranged marriage comes when the GUY and the GIRL meets in person and then start discussing about their likes and dis-likes and with a certain amount of trade-off they agree to tie the knot. Well i am not going to talk anything about arranged marriage here, i am just going to give some tips for couples who have got engaged and are waiting to get married, so the time between engagement and marriage is suppose to be the most ROMANTIC period of their life (atleast i want mine to be ROMANTIC between that time window), but not all couples are really comfortable in this period and will run out of steam in a couple of meetings and then dunno what to talk, so me being an experienced campigner in such things (iyayoo ... enakku engagement aagala pa, but neraya kadala poturukom la, andha experience a thaan sonnaen) thought of giving a few tips here. Generally guys will be impressed if a girl talks more about sports and its statistics, coz not many girls follow (any) sports. Not all guys watch movies (take it from me) and hence wasting much of a time in asking silly question like, who is your fav actor / actress is not going to help for an interesting meeting / topic. Guys like when the girl talks on subjects which are boyish, you got my point ? In the sense, if a girl talks on stuffs that are generally discussed amongst guys circle, he will be excited, at this juncture i would like to clarify a point to all that, dont always think that GUYS will talk only abt that THREE letter word when they are with a gang, that's absolutely rubbish, ofcourse we do talk about girls but that will not be the only topic. Guys do know that girls always like "Last Bench Folks" than a "First bench 1st rank holder (sathiyamaa sollaraen pa). So you girls should talk on topics related to girls, ask him whether he "Sightadichufys", and what does he think about love marriage, Thanni / Cigarrete adikara pazhakam irrundhudhaa ? or irrukaa ? appadi adichaa endha brand adipaan ? If you girls think that its too early a stage to ask such questions, don worry, for beginner's i have my next paragraph.